A rocket true to the essence of an Apollo Rocket, but with the launch practicality of the Nasa SLS program, the Ares XI is a practical solution to Munar missions. The Ares XI can take a crew of 3 to the Mun, with all the essential scientific equipment needed for science, while costing only 122k credits to launch. The Ares XI is user friendly, by being easy to launch and has sufficient fuel and more for room for errors. Although reliable, it’s also equipped with launch escape system for good measure. Just like the Apollo, the payload of the Ares XI is both the Command Service Module (CSM) and the Lunar Excursion Module (LEM), unlike the NASA Constellation proposal of having two separate launches. The Ares XI was originally designed in 1.0.4, but is completely compatible in 1.0.5. This is an all-stock craft. Before launch, throttle up 100%. Keep the SAS off to prevent wobble. Keep RCS off too. Press spacebar to activate liquid engine. Press spacebar again immediately after to release clamps and activate SRBs. SRBs will run out first. Press spacebar to release when empty. Liquid twin engine will run out next. Press spacebar to separate stage. Sepatrons will activate to aid in separation. Press spacebar to activate Mainsail Engine. Switch on SAS. Press ‘1’ to separate escape rocket. Suggested altitude is 40,000m. Achieve stable orbit and cut engine. Use RCS for reorientation programs. 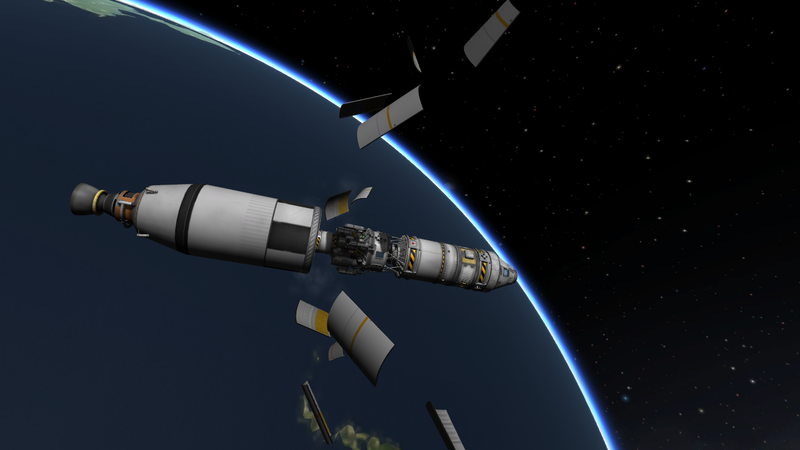 You should have roughly 950-1150m/s of Delta-V left in the stage for Munar transfer. 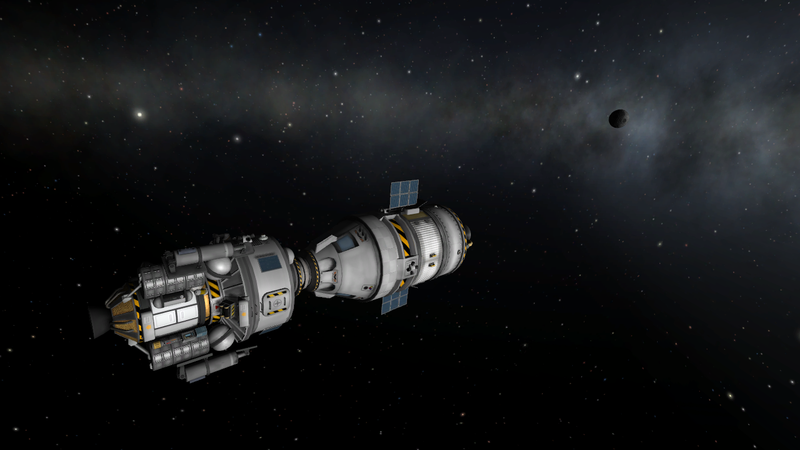 Plot a course for the Mun. Suggested approach is a Munar periapsis of 18,000 to 20,000m. Use the remainder of your stage to achieve this. Note that there may be some fuel left in the tank afterwards. Double check your Munar intercept course. If all is well, press spacebar to eject LEM fairing and separate stage. 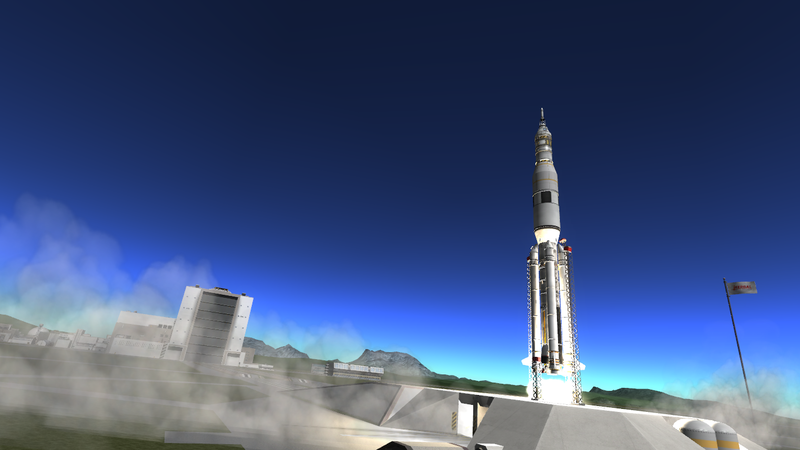 Pressing ‘2’ ejects fairing alone. Press ‘3’ to separate CSM (Command and Service Module) and LEM (Lunar Excursion Module). The CSM will be the commanding module. Activate RCS and press ‘H’ to temporarily distance CSM and LEM. Set the LEM docking port as target. Rotate CSM 180° to face LEM. Press spacebar to eject decoupler and expose the LEM engine. Double check if throttle is at 0%, then press spacebar to make the CSM engine the active engine. Do not throttle up. Double check that the commanding module is still the CSM. Press ‘5’ to deploy CSM solar panels. Decoupling from the rocket may have altered the Mumar periapsis. Use RCS for minor corrections. 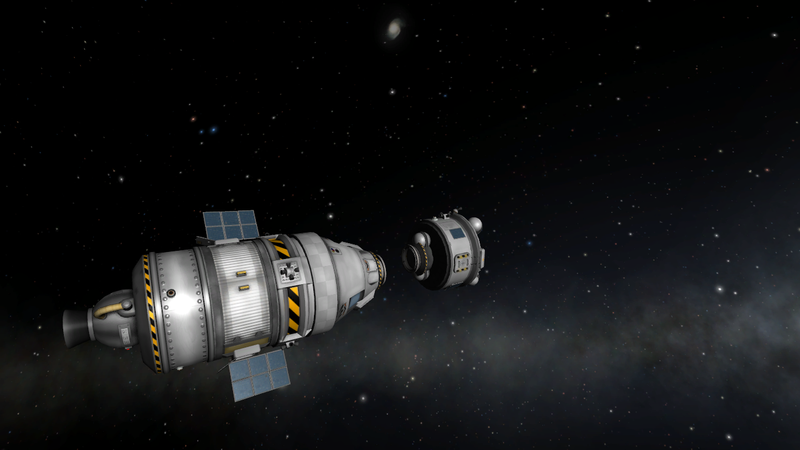 Munar Orbit Insertion: 1. 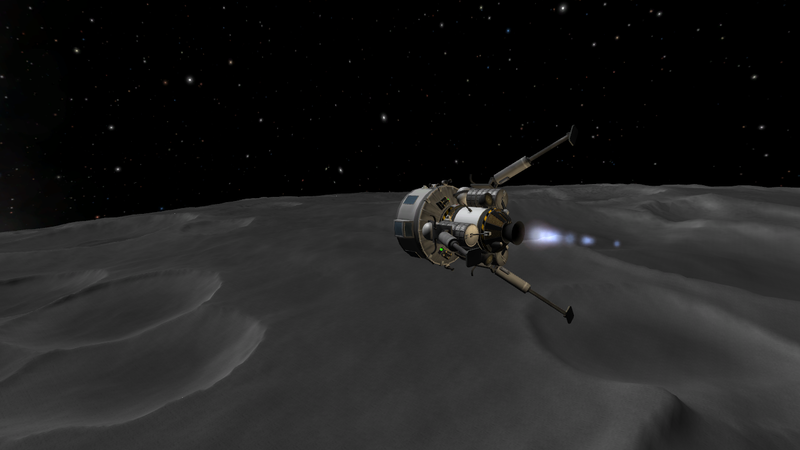 Use the CSM engine to decelerate at Munar Periapsis. Make orbit as circular as possible. 2. Deactivate engine. LEM Descent Procedure: 1. 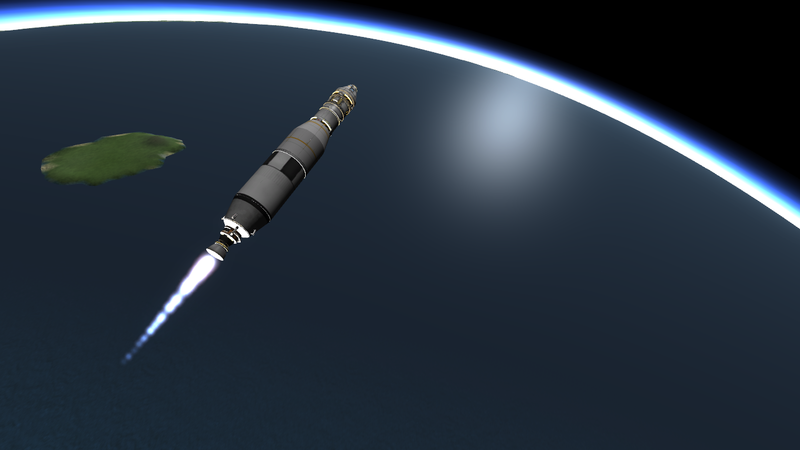 Transfer 2 Kerbals into the LEM. A pilot is mandatory. 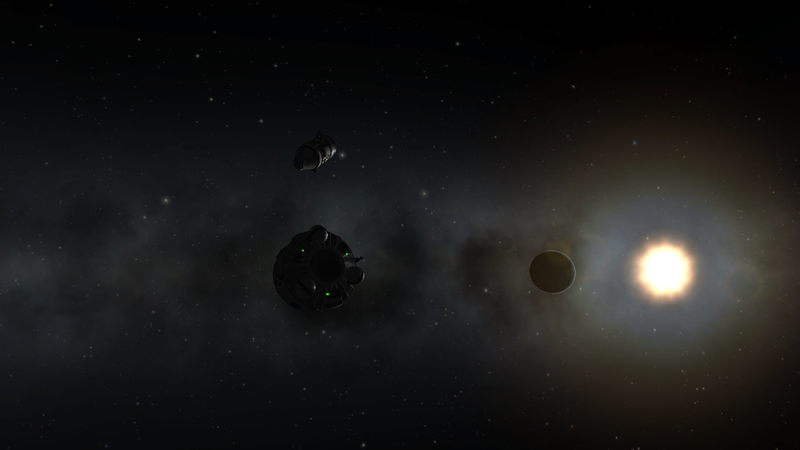 One Kerbal stays in the CSM. (Ship Manifest mod allows you to transfer crew without stepping outside.) 2. Disable RCS. 3. Fill up RCS tanks of the LEM by taking from the CSM. This is important for the LEM’s ascent stage. (Again, Ship Manifest mod helps.) 4. Undock the LEM from the CSM. 5. Activate RCS and pres ‘N’ to distance the LEM from the CSM. 6. Press spacebar to activate descent engine. 7. Press ‘G’ to put down landing legs. Lights are also equipped for landing guidance. 8. Land on the Mun. LEM is designed to have enough fuel to first decrease periapsis to roughly 5000m before decelerating to a sub-orbital arc. 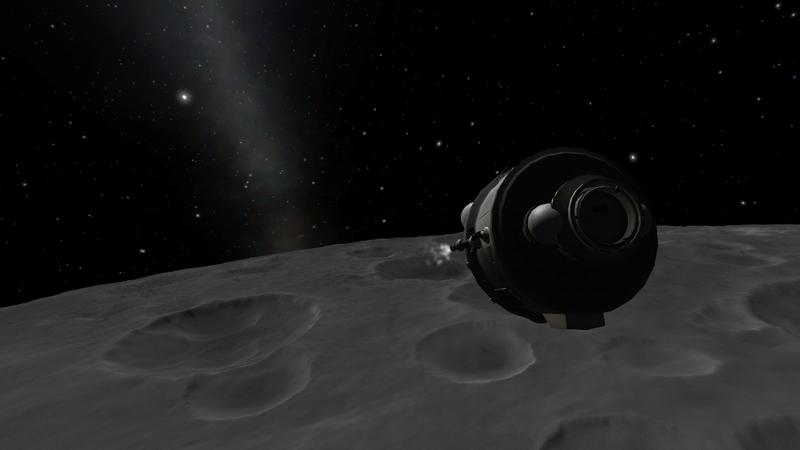 On the Mun: 1. 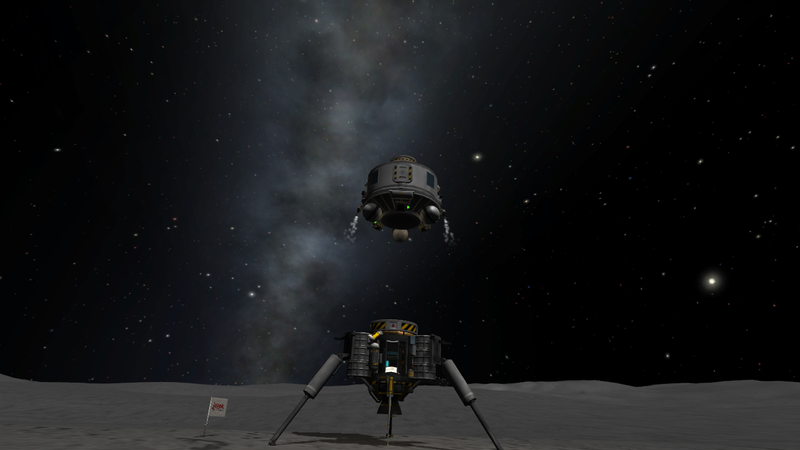 The LEM is designed to land only once. 2. Science equipment is available for Career mode. 3. Press ‘4’ to deploy ladders. 4. Deactivate descent engine. Once CSM is 50,000m away, throttle up 100% and press spacebar to decouple from the descent engine and lift off using the ascent stage. Achieve a stable orbit of 18,000 to 20,000m. Rendesvous and dock with the CSM. 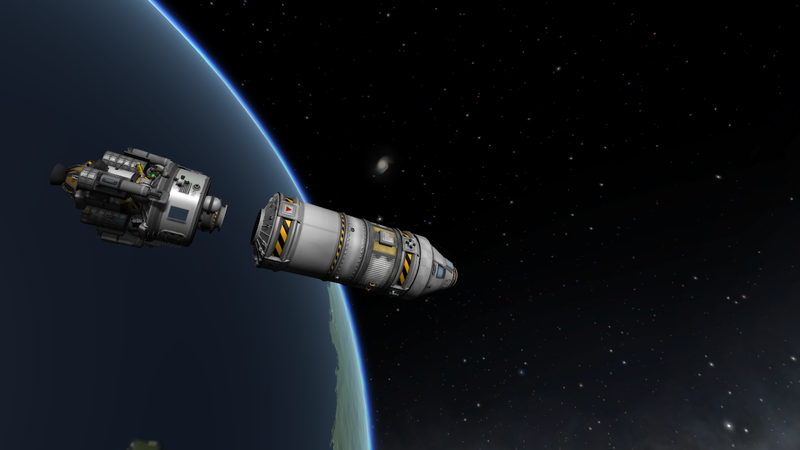 Transfer LEM crew and Science Data into the CSM. 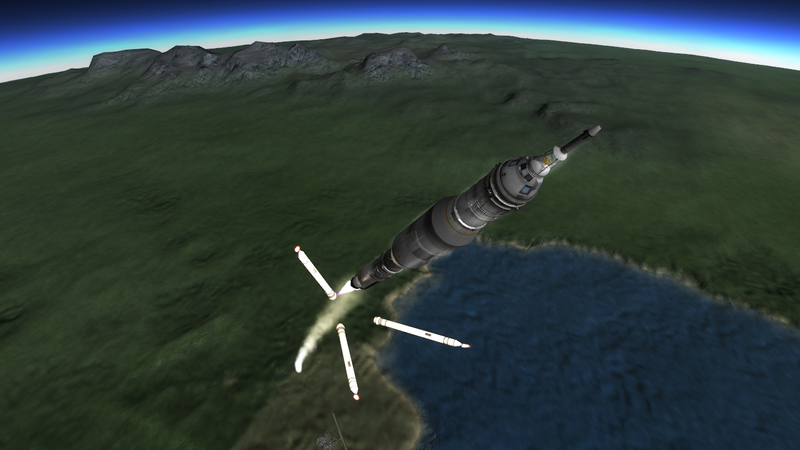 Kerbin Insertion Procedure: 1. Plot a course for Kerbin with a Kerbin Periapsis of 25,000m. 2. Activate engine. 3. 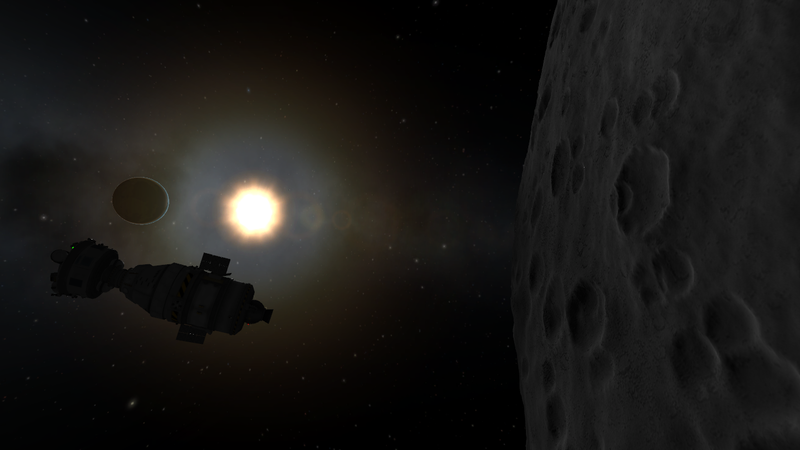 De-orbit from the Mun. 4. 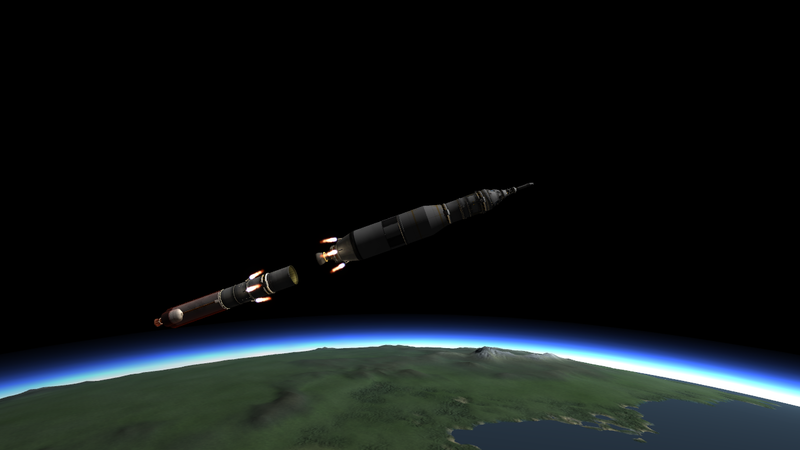 At Kerbin intercept with a relative height of 100,000m, press spacebar to decouple the remainder of the rocket. Recommended orientation prior to detachment is normal/anti-normal to prevent collision. 5. Position Command Pod at a retrograde orientation. Turn off SAS upon atmospheric contact. 6. Press spacebar at a velocity of 250m/s to activate parachutes. 7. You may choose to cut one of the two parachutes in the event of a water landing.